For the Spring 2018 UW-Stout Graphic Design Exhibition, I was on a team of three who were responsible for creating the promotional campaign of our big event. 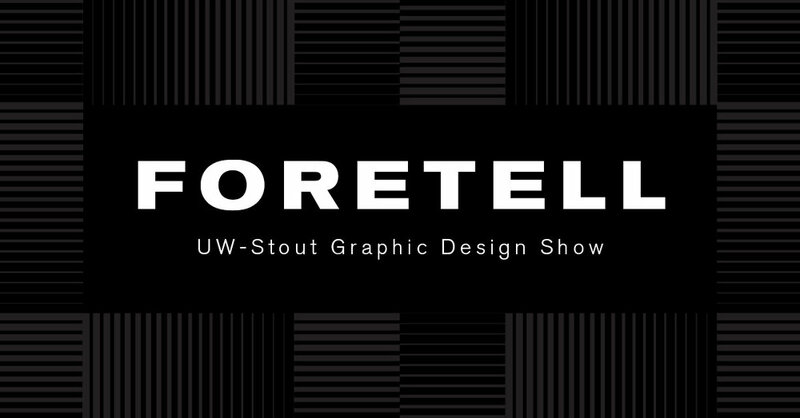 Daniel Wagner, Noah Delagardelle, and I created the posters, mailers, motion graphics & website (www.foretell.show). Given my skills in motion graphics, I naturally took on that challenge. Under the direction of our Professor, Nagesh Shinde, we created a powerful campaign following the concept of blurred lines. As technology increasingly becomes an integral part of the human experience, the lines between humanity and technology are blurring. Each student in the show designed a product that explored artificial intellgience, real-time connectivity, virtual reality, adaptive learning or assistive technology. Below is the motion graphic advertisement that was posted across social media. ARTIFICIAL INTELLIGENCE has the capability to accurately read images, texts, video, audio, and even fingerprints while providing the best answers for any situation. AI can free us from repetitive, mundane tasks and help us live life more efficiently. Live interactions with digital platforms that analyze our habits can assist us in staying up to date, so we can keep pace with any changes that may be around the corner. This is REAL-TIME CONNECTIVITY. Edit what is real with imagination. We have enjoyed the experience of roaming the streets while our virtual avatars transcend us into fully immersive, surreal virtual environments. These are MIXED REALITIES. Now, algorithms can understand the user's preferences and deliver customized options that are unique to the user. This is the power of ADAPTIVE LEARNING. It is more than a technology; it’s a function that helps improve the quality of life for our specific individual needs. No one is perfect. ASSISTIVE TECHNOLOGY can bring hope to those who suffer a physical or mental disability.